Mary passed away peacefully from natural causes and breathing failure just a few days after her 101st birthday. Mary was born in Kansas to parents Inez and Arthur. 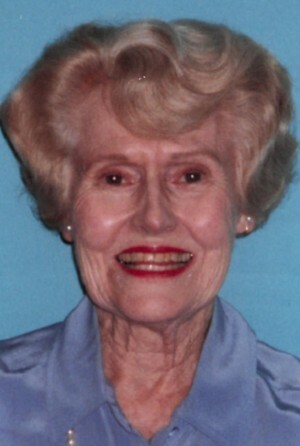 She attended Washburn College and the University of Kansas. She married her husband Jack in 1941 and moved to Seattle, where he served as a civic leader in various positions over the years. After the birth of their second daughter, they moved to the Magnolia neighborhood, where they resided for 49 years before moving to the Horizon House retirement community in 1999. 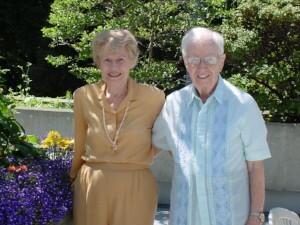 In addition to her duties as a homemaker, Mary was also active in the Arboretum Unit #18, Children's Orthopedic Hospital Guild, Seattle Art Museum Board, Washington Athletic Club Women's Advisory Board, Women's University Club, Seattle Golf Club, Kappa Alpha Theta sorority, Unity Church, and the PTA, and was a member of the Mayflower Society. Among many other activities, Mary enjoyed playing bridge, reading, gardening, musical theater, and traveling extensively all over the world. Along with her natural true red hair, her defining characteristics were that she was indomitably cheerful, kind, sweet-natured, grateful, funny, gracious, with never a mean-spirited thought or action, charming everyone who came into contact with her. 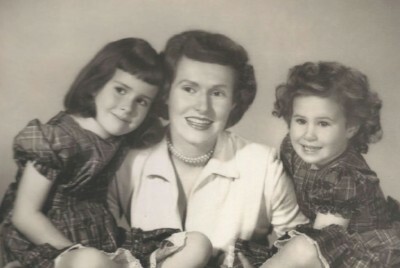 She is preceded in death by her husband Jack and daughter Joyce, and is survived by her daughter Janet, her sons-in-law Allen and Tom, nieces Sara and Deborah, several generations of other nieces and nephews, and her dedicated live-in caregivers Maryann and Brenda. All those who were blessed to know her will sorely miss you “Little Mary Sunshine”. Remembrances can be made in Mary Geoffroy’s name to the Fred Hutchinson Cancer Research Center, Providence Hospice of Seattle, or the Horizon House Residents’ Assistance Fund. Janet I am flooded with dear memories of our parents. My condolences. I have thought of their many kindnesses to all. My parents, Carolyn and Frank Newman were close friends of your parents for so many years. I have pictures of them together from when they were young. I remember there smiles , dahlias, laughter..... so many things. Sending you love ️, smiles and happy thoughts.